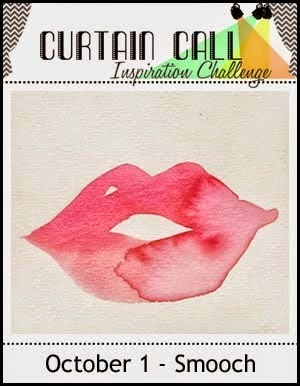 Thank you so for joining us for the Curtain Call Inspiration Challenge - Smooch! We select a LEAD for each challenge who is invited to be a guest designer in an upcoming challenge. Show Stoppers are other projects that have caught the design team's eye. 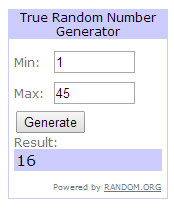 A randomly selected participant will win a $25 gift certificate from our sponsor for this challenge: Paper Smooches. Congrats Hannelie! We invite you to be a guest designer in an upcoming challenge. Please email Stacey at slschaf771@aol.com for all the details! "I love Hannelie's card. The black spatter on the background and the popped up lips and sentiment in pink is stunning." "Love that big lip print and fun splatter around it." 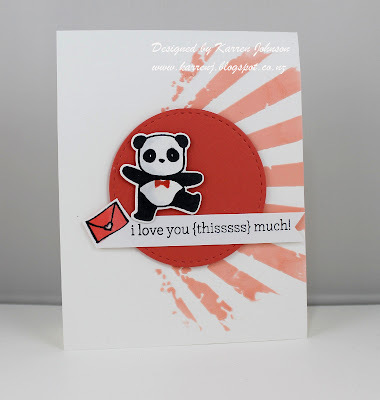 "Hannelie's card is super sweet and simple! LOVE the lips and "mwah" sentiment with fun black splatters in the background!" "Trendy ink splatters, big lips paired with the perfect sentiment--SMOOCHES!" "Hannelie's card is perfect in every way. Fantastic take on the inspiration photo. I also love the CAS design." "Like so many of the crew, I'm taken with Hannelie's card! It couldn't be any sweeter!" 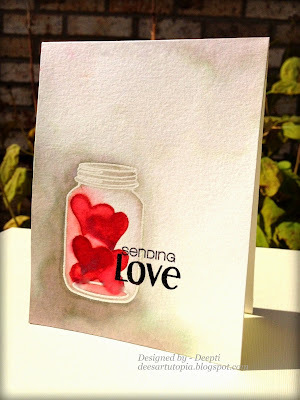 "I adore the mason jar with hearts. Love Deepti's watercoloring!" "The little bow tie on the panda is just darling - and I love Karren's use of the rays stencil." Congrats Tanja! Please email Stacey at slschaf771@aol.com to accept your prize! Thanks so much for the shout out! Congrats to Hannelie, Deepti and Tanja - awesome cards! Thanks so much! 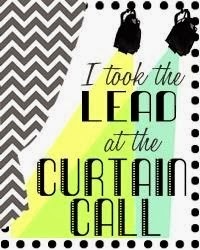 I am thrilled to be the LEAD this week!